When it comes to costs, barn wedding venues do not settle you with anything lesser than the conventional weddings. Especially if your minds are set on a perfectly rustic themed wedding, you must make sure you are prepared to accommodate that good extra spending you will incur anyway. Since marriage is a onetime special event in your life, you will want it to come out in the best way possible. This will certainly prepare your mind to spend as much as it would cost to host a great Georgia Barn Wedding ceremony. Nevertheless, you must do the right kind of planning so that the expenses do not go beyond whatever is your proposed budget. Here are a few tips to ensure this happens. 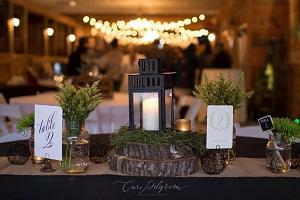 Before getting started, gain a fair idea of the cost of a rustic themed wedding. Select the most suitable wedding venue. Take into account the hidden costs you might incur on the move. It is a good idea to visit the website of the barn wedding venue you are considering to see if you are able to work out the accurate costing to a great extent possible. When it comes to the charges made by the barn wedding venues, Saturdays are more expensive than the other week days. Also, during some times of the year, the prices can be cheaper while it might go up during peak seasons when the demand is high. If you can make the minimal use of the air conditioning and other arrangements at the barn as much as possible, you can save a good amount of money. Visit the barn personally to decide if this is possible to figure out in advance. The length of the list of guests you will invite can impact the costing in a big way. While some barns have a flat rate irrespective of the guest size, many of them charge you more if the party gets larger. Also, it is literally not possible for some big families to reduce the size of the wedding beyond a certain measure. Hence instead of skimping on the size, it is good to settle with the venues that do not charge extra for the larger guest list. The quality of the barn wedding venue can impact the pricing to a large extent. Some barns charge more not without a reason. They have some extra facilities, add-ons and amenities that you and your guests will appreciate. When they offer much, it is natural that they will charge more. Some arrangements like a bridal suite that is accessible by physically challenged people can be a good option as it can make it easy for a wheelchair bound grandmother to oversee the getting ready of her granddaughter for the marriage. So, depending on what you and your guests will actually need, you can fine tune the expenses. When you work out every minute detail of the wedding you are planning and keep something extra for the unexpected expenses too, you can successfully keep the spending within the budget without burning your fingers. For more information about Farm Wedding Georgia and Barn Wedding Venue Georgia Please visit : Cold Creek Farm.